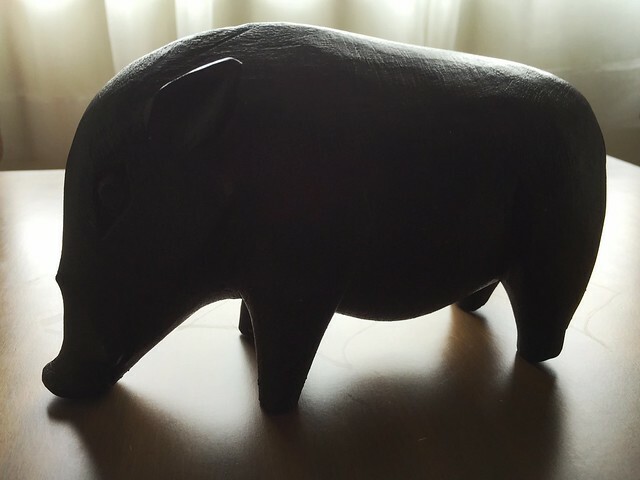 THERE’S SOMETIMES a thin line between handicraft and fine art, and I think that this wooden pig I picked up yesterday from a souvenir shop in Puerto Princesa, Palawan may have crossed that line. It stood all by itself in a roomful of pretty and exquisitely carved objects, but something about its form appealed to me, even the roughness of its finish—that long rise up its spine and then the precipitous drop down its snout, which ends up as solid as a fifth foot, and here and there the little lumps and undulations suggesting bone and muscle. 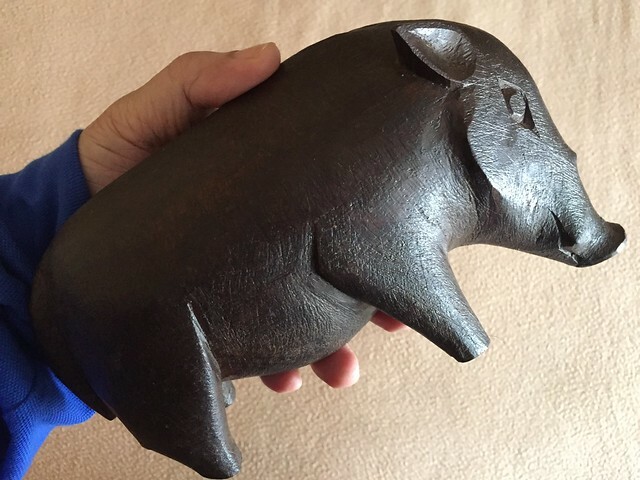 It was when I lifted it that I knew I had to have it—it’s one hefty porker, having been carved out of ipil (Intsia bijuga), a local hardwood. My hands wrap nicely over its back and belly. This is one pig that’ll be rooting on my desk for a long time. 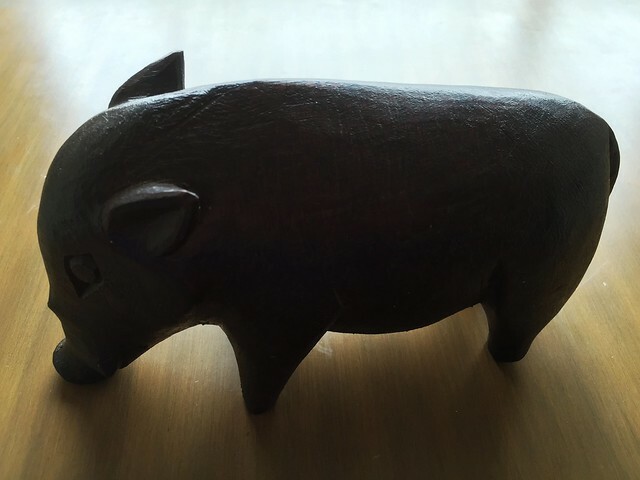 This entry was posted in Art & Culture, Fun and tagged handicraft, Palawan, pig, sculpture by penmanila. Bookmark the permalink. What a great find! You have the eye of a BenCab who also recognized the art of Cordillera carvings. May mamanahin na naman ako! Yahoo! That’s a nice piece. You have a good eye.